Karin Fields is an award-winning, 20-year veteran of the telecom and cloud industries, presently leading a top-ten master agency, MicroCorp. 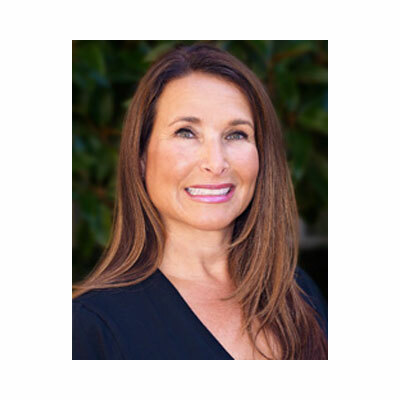 Fields is presently Chair of The Alliance Partners, two-time recipient of CRN Women of the Channel, and is a founding member of Women in the Channel. Fields started in telecom when she joined MicroCorp in 1994 provisioning Agent Partner orders for a single service provider. As the company added more providers and partners, Fields' responsibilities and positions within the company grew. Over the years her positions within MicroCorp including VP of Provisioning, VP of Sales, COO and in June of 2014 she was named CEO/COO. Fields has been instrumental in developing the processes and procedures for managing the lifecycle of an opportunity from quoting to post-sales support. Her leadership and vision helped lay the foundation for MicroCorp's back office management system, Nautilus. This portal provides the company, its Agent Partners, Providers and even third party vendors, with a single go-to resource for the total management and collaboration on end-customer accounts. Nautilus has been the core of how MicroCorp runs our business and supports our partners. It is how we manage quotes and orders, pay out commissions, and enables our providers and partners to collaborate on opportunities. It was developed 20 + years ago and while we made enhancements over the years, Fields realized in late 2016 that it was better to build a new system from the ground up than keep trying to tweak what we had. It was a major endeavor that was started in 2017 and are in the final stages of testing for a mid-March 2018 launch. As a strong believe that channel partners need to surround themselves in an ecosystem of experts, MicroCorp launched the Solutions Alliance, a trusted ecosystem of independent solution providers, such as IT maintenance, asset management, domestic and international IT project management and other critical services. Partners can engage with in confidence knowing that the services will be delivered and that they will get paid. Rolling out of Nautilus 2.0 in Q1 is my first goal for the new year. This will enable us to support our partners better and give them more insight about what is going with their business. Growing our cloud business, SD-WAN and UCaas business is also the top of the list, with specialized trainings and partner summits. Lastly, a new company intranet - as our company grows, so does the way we communicate with our employees. A close, lifelong friend - Cheryl. She is an amazing woman and I call her my hero. I love the fact she is so honest, genuine, funny and able to balances more things than most consider humanly possible. No matter what comes her way, she takes it head on with intelligence, humor and a smile on her face. To learn more about network security. It is only going to be more relevant in our world as hackers become more sophisticated and prevalent. Starting with "Why" by Simon Sinek. It's a great book for not only for marketing but also for running a business. It has changed how Fields looks at situations, the questions to ask and how to make decisions. A mainstay in Fields' backpack and is reread when she feels she's getting off track or need help with clarity.